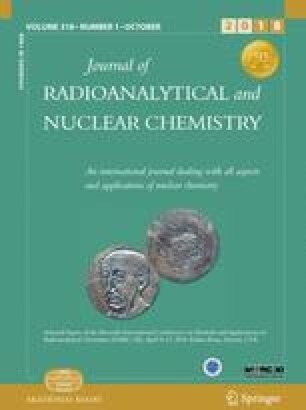 Protactinium-233 (233Pa) is used as a tracer for radiochemical analysis and is of particular interest as an isotope dilution mass spectrometry (IDMS) spike for 231Pa/235U radio-chronometry. To this end, we present massic activity determinations by two methods for a 233Pa solution, which was prepared at Lawrence Livermore National Laboratory (LLNL) and is being characterized at multiple labs as part of a 231Pa reference material production project. One activity determination method was 4πβ-γ anti-coincidence counting in a multi-dimensional extrapolation model, with Monte Carlo corrections. An independent massic activity determination was completed by \(\gamma\)-ray spectrometry using 5 high purity germanium (HPGe) detectors using 5 \(\gamma\)-ray lines. The anti-coincidence and \(\gamma\)-ray spectrometry results agree and have combined standard uncertainties of about 0.33% and 1.0% respectively. In addition, the two methods were combined to derive \(\gamma\)-ray emission probabilities from 233Pa decay. A correction to this article is available online at https://doi.org/10.1007/s10967-019-06453-5. The authors wish to acknowledge Ross Williams and his colleagues at LLNL who provided the 233Pa solution along with leading the larger 231Pa reference material project and our NIST colleague Richard Essex who coordinated the 233Pa and 231Pa measurements at NIST. This work was supported in part by the Department of Homeland Security.